I have previously expressed gratitude towards gun control activists who accept the meaning of the Second Amendment for what it is, and honestly call for its repeal or alteration. While I disagree with these individuals politically, I have great respect for their intellectual rigor and honesty. 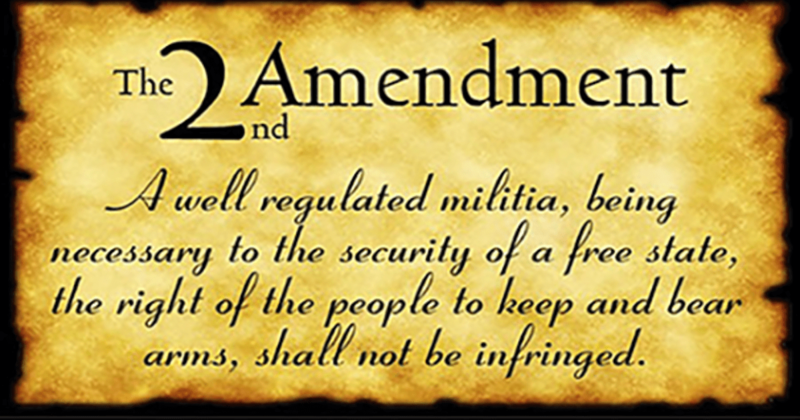 Even worse is the comma between “the right of the people to keep and bear arms” and “shall not be infringed.” Splitting the subject of a clause from its predicate is a mistake that my students in Thailand rarely make. I do not know how this got past the other Founding Fathers and the original states as they ratified the Bill of Rights. Unlike French, there is no central authority on the English language, so technically there is no right or wrong. The English language is unregulated and subject to the whims of the public. English speakers are free to preserve the linguistic conventions they prefer, and to alter the ones they do not. This goes to show that gun rights supporters who are burdened with keeping the flame of liberty alight should be stubborn and unwavering when it comes to language. Progressive and authoritarian attacks on the English language will never cease from threatening the rights that our philosophy deems self-evident. Humanity isn’t a collection of teams. Humanity is the team. Interesting topic but entirely unoriginal. This goes all the way back to a Fifth Circuit case in 2001 that mentioned the same exact punctuation issue. Rinse and repeat and it’s as good as new I guess.